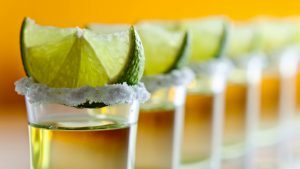 Margaritas are undeniably the most common tequila-based cocktail in the US and worldwide. It’s served shaken, blended and straight up. So omnipresent in the world of cocktailing that it merits its very own glass. 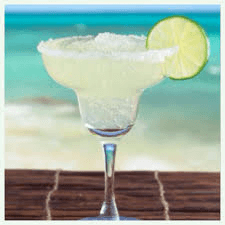 Even though we cannot get enough of this refreshing drink, what do we really know about margarita? What’s the history behind this famous drink? 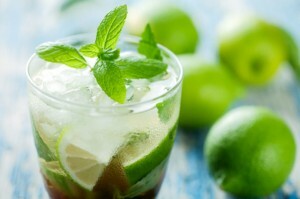 As with many popular cocktails, the exact origin is not verifiable. Perhaps because of this fuzziness, many have taken credit for its invention. 1) La Playa‘s Jalapeno margarita is among the best in Vallarta. 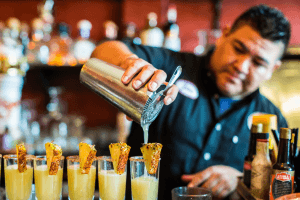 Mixologist Alex carefully crafts a sweet and spicy mix that will have you hankering for more. La Playa is located in Old Town next to Lazaro Cardenas Park. 3)Solar– Our favorite dive beach bar has some some amazing cocktails. 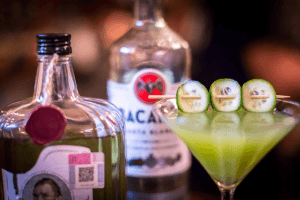 Start with a fresh cucumber/jalapeno cocktail with your choice of tequila or mezcal. You won’t regret it! 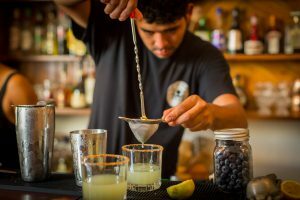 4) Patio de mi Casa– With a bohemian ambience that will have you relaxed, Patio de mi Casa pairs up a classic margarita with some jazz in the evenings. Marco knows his way around the bar. Don’t take our word for it. You will not be disappointed!. 5) La Palapa– Puerto Vallarta’s oldest elegant beach-front restaurant has an extensive drink menu that will impress just about everyone. With more than 10 flavors including tamarind and cucumber, La Palapa is a spectacular location, day or night. 6) Gaby’s – One of the cutest courtyards in downtown Vallarta, Gaby’s dishes out delicious mole perfectly washed down with a hand-crafted margarita. 7) Cafe de Artistes- Upping the cool quotient, this beautiful and revered restaurant, is well-known for their mezcalinis. Served like martini, mezcalinis are margarita’s favorite cousin. 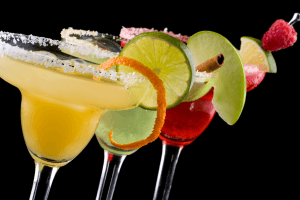 Many of these margaritas can found in our Mexology Tour and our Original Downtown food tours. Remember the old adage: Drink tequila because no good story ever started with drinking milk. SALUD!